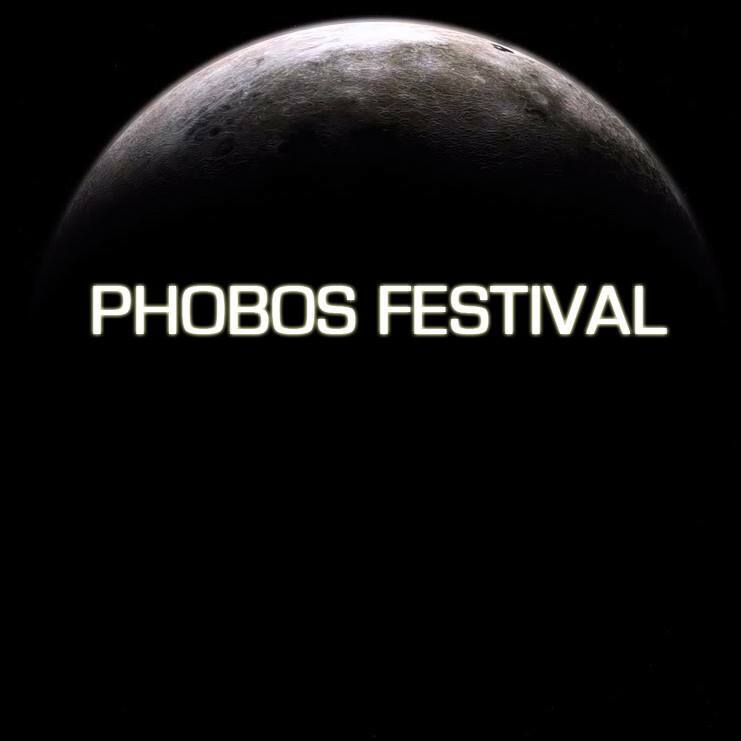 The Phobos Festival has run for 9 years now, but for me it was the very first visit to the fine city of Wuppertal, Germany. About time. 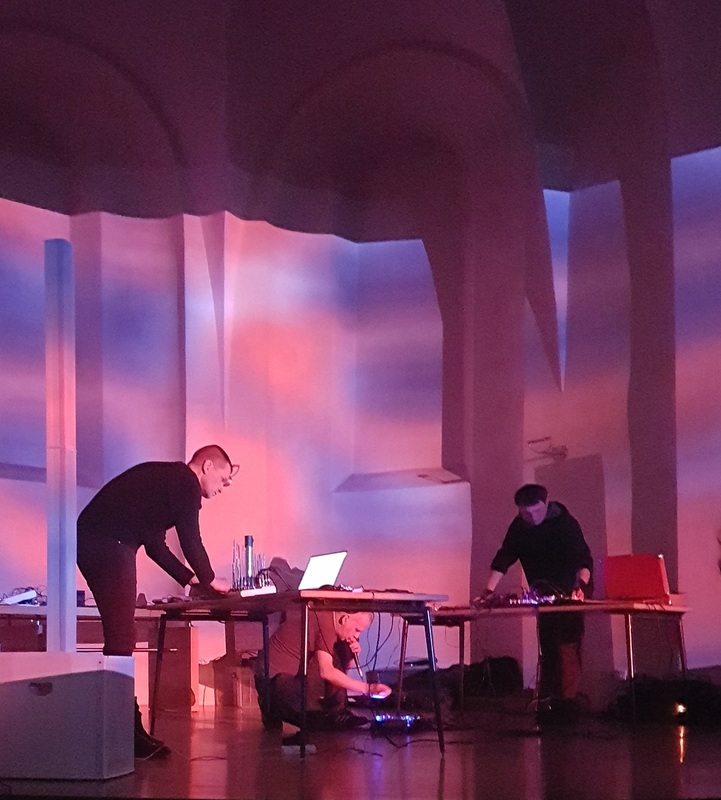 The idea of the event is to invite only the crème de la crème of dark ambient, without any less known artists for warm-up, so the high level of professionalism is almost certain from the very beginning. I decided to combine the event with a short holiday trip around Germany and Czechia, so we arrived at Wuppertal on Friday, late afternoon. The town turned out to be nice and friendly, with a lot of green spaces and a unique suspension railway going from one end of the city to the other. Like a flying tram. I don’t think there is this kind of city transport anywhere else in Europe. Maybe in U.S. or Asia? Anyway, after a walk around the city and dinner, we went to the venue around 7pm. The event took place in Alte Reformierte Kirche Elberfeld (Old Reformed Church Elberfeld). In the previous years the artists were performing in Sophienkirche which is located almost around the corner, but since I haven’t attend the earlier editions, I can’t really compare one to another. Still, the church is a church, it’s a much better location than a club, for example, and it gives a feeling of great importance to the event. The first performer was Shrine from Bulgaria. I have been following Hristo Gospodinov’s works since the very beginning, that is his digital-only album Harmony, Bliss, Rust released by now defunct Mirakelmusik (but there will be a cassette re-release soon through the effort of the Amek label). It is a great pleasure to watch Hristo’s evolution as a musician over the years. Even though I prefer his early works a little bit more, it is impossible not to notice the progress he has made and the possibility of performing on Phobos, among the best of the best is definitely deserved. Hristo’s music was the least dark and oppressive of all the performers of the evening, the strong organic feeling made me think of fighting elements, the water, wind and fire. The majestic walls of sound were intermingled with moments of calmness and meditation, and all this in his own individual style, which he managed to develop during the last decade. 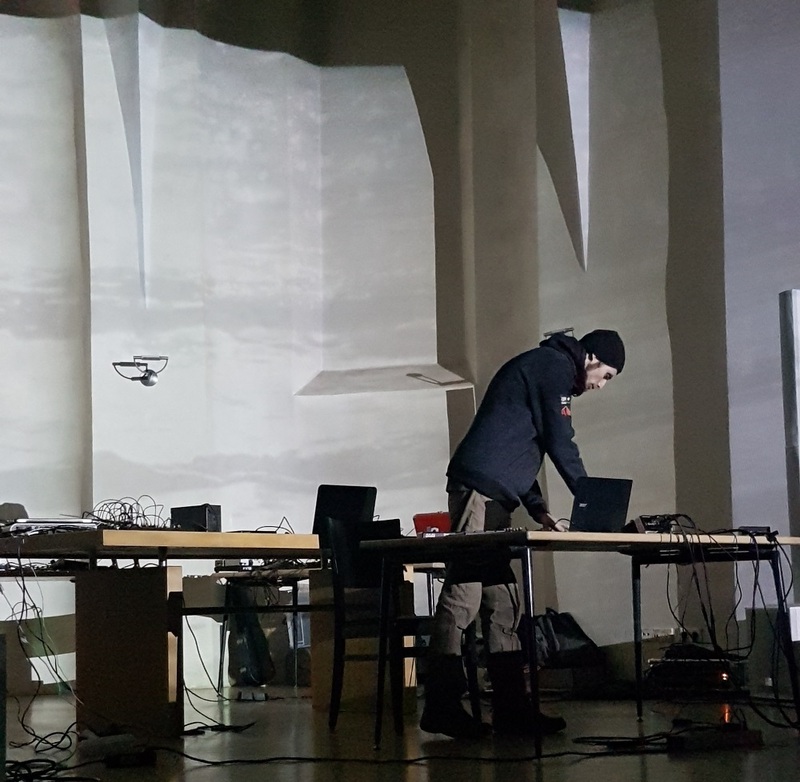 Each invited artist is a craftsman in a certain sub-genre of dark ambient, so with the first sounds of Frederic Arbour’s Visions performance we entered the post-apocalyptic world of slightly industrialized drones. I always considered Visions as an under-appreciated project, while his two albums, especially Lapse, have a special place in my heart. Unlike his studio albums, this performance was devoid of any cosmic atmospheres, it was but an essential, monolithic vision of a decaying world. After half an hour or so Frederic was joined by Gabriele Panci of New Risen Throne, and they played together for a while. 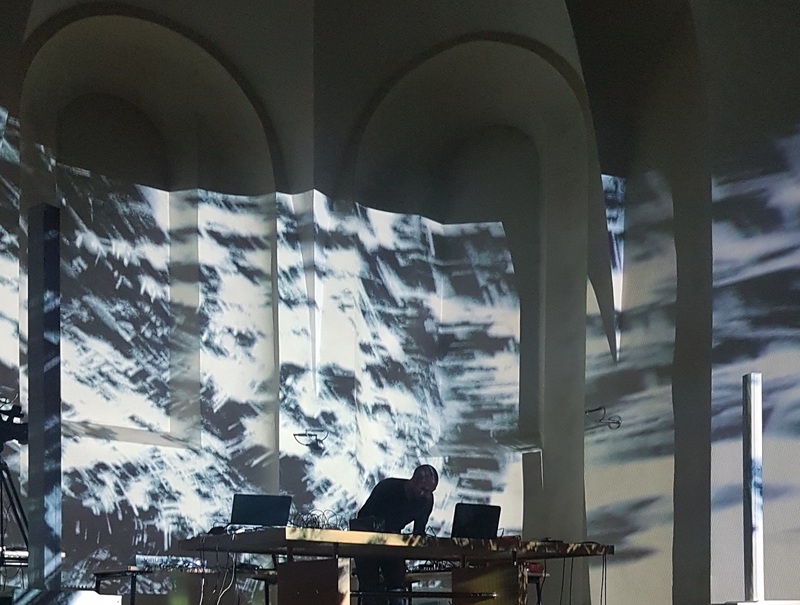 It was a point of transition, the other aural shapes began to appear and when Frederic left the stage the music morphed into a still dark, but more sacral (or rather anti-sacral) form of ambient, oppressive yet infused with melancholic elements here and there. All covered with a strong aura of occult, which was intensified by the evocative visuals. 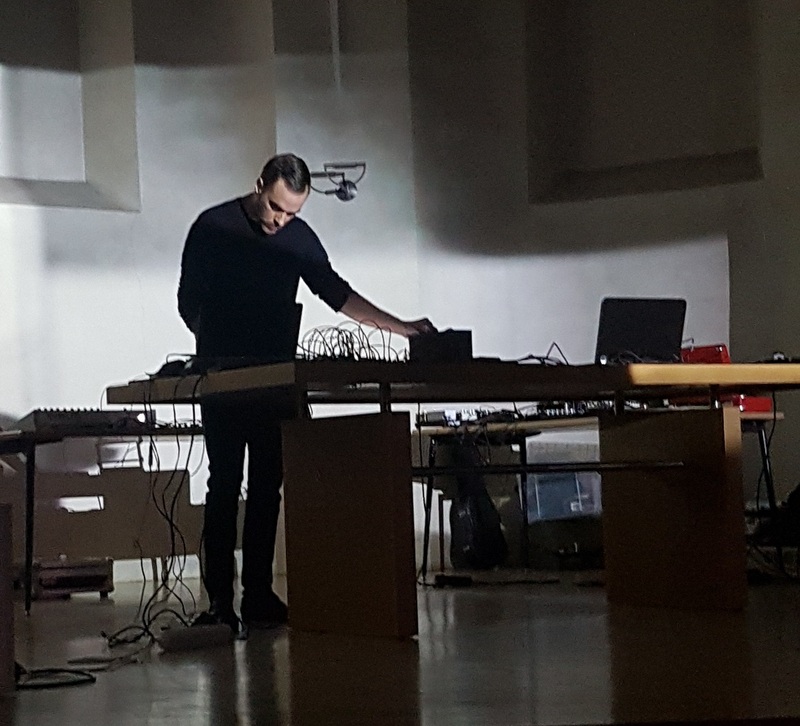 Since this form of dark ambient is not my favourite one, I have to admit that Gabriele and his New Risen Throne is one of the best in what he does and the whole show was truly impressive, even though a bit too long (around 70 minutes in total). When I entered the church, it was impossible not to notice the organizer, Martin Stürtzer, running from one corner of the building to another, checking if everything is in order, if the people are content etc. So, I have wondered if he’ll manage to concentrate on his own performance with all the organizing stuff on his head, as Phelios which was about to play next. My worries were totally groundless as his concert was most likely the most intimate and focused of all the projects of the evening. 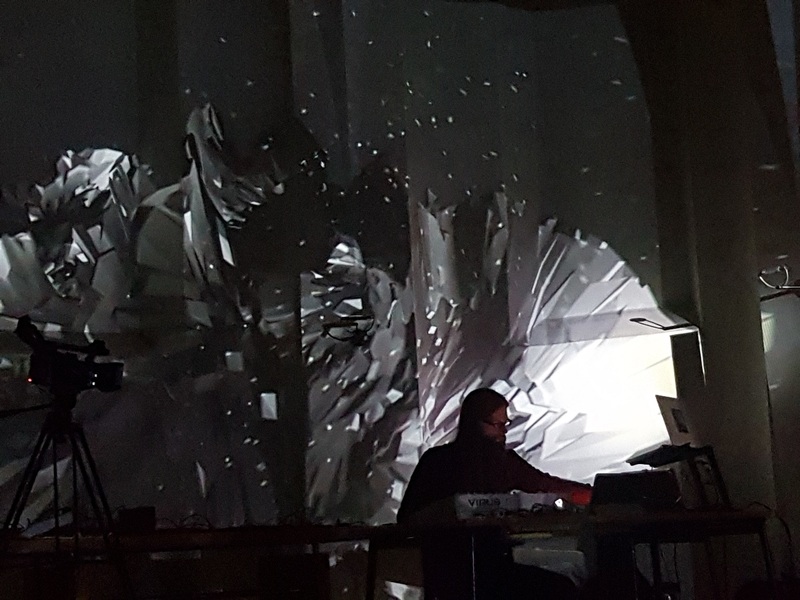 Slowly evolving cosmic drones, some scraps of melody and rhythmic elements along with the astonishing visuals captivated me completely. Furthermore, I think that his sound was also the best of all, but perhaps it’s only my impression. Either way, Phelios did a better job, to me, than on his studio albums, which after all are nice too. The first joint show of Troum and raison d’être was supposed to be the highlight of the evening and personally I have mixed feelings. I’m not sure if they had some technical issues or maybe it was the case of lack of compatibility but there were a few moments that were chaotic and not entirely convincing. Sometimes, I simply felt the lack of flow, so to speak. Obviously, when they captured the right pattern and timing, they managed to reach the highest peaks of drone atmospheres, but sometimes it took them a slight bit too long. Still, I can’t say it was a bad concert, or even mediocre, I just liked the others better. All the performances are now available on Youtube, so you can do your own mini-Phobos in your living room, though obviously nothing will replace the live experience. 2019 will be the year of the anniversary, 10th edition. So, I’m guessing Martin will prepare something special. I will be there again, that’s for sure.